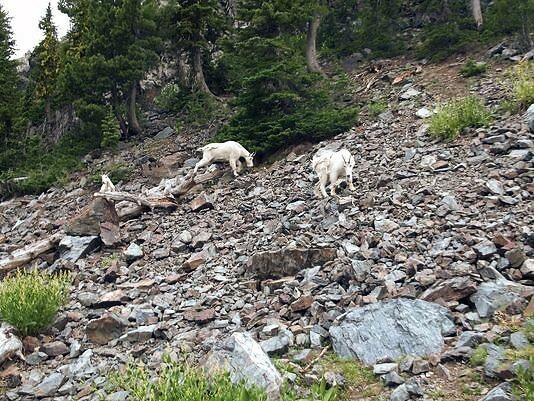 When an American astronaut reverently quotes from Psalm 24, and is promptly faulted by a critic—for “violating” the so-called “separation of church and state”(1)—it is time to learn a lesson about balance, from the agility of mountain goats, adroitly ambulating alpine ascents of the Rocky Mountains. 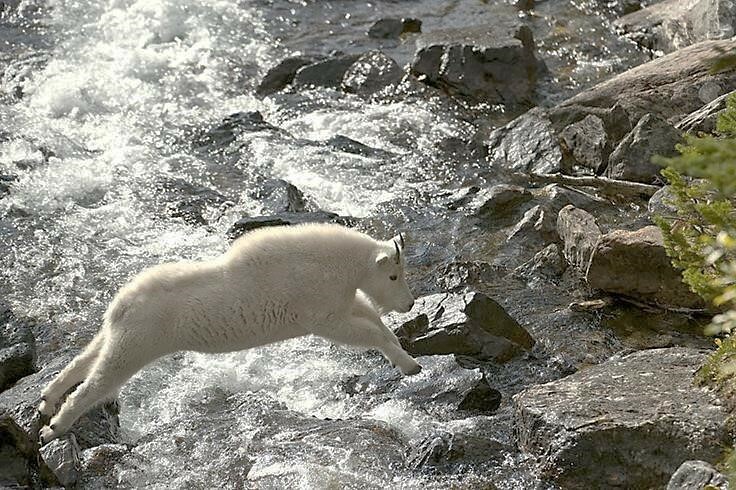 Why are mountain goats a picture of this problem? 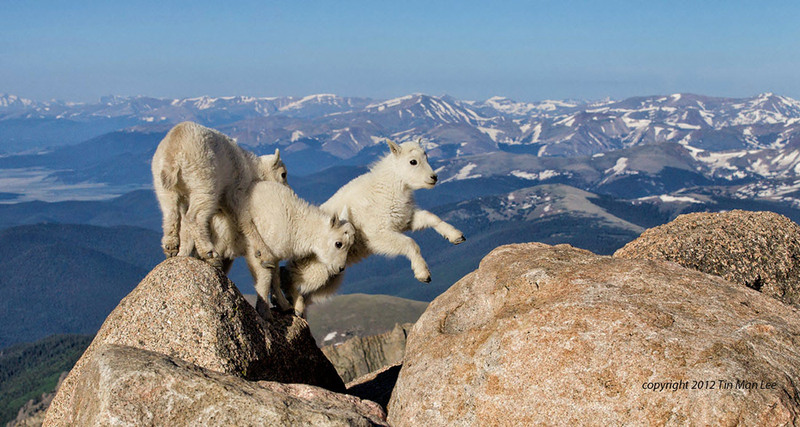 Because safely balancing a mountain goat’s body, on steep alpine slopes—and safely balancing individuals’ civil liberties (such as an astronaut’s religious freedom and free speech rights)—are both examples of high-stakes balancing acts. 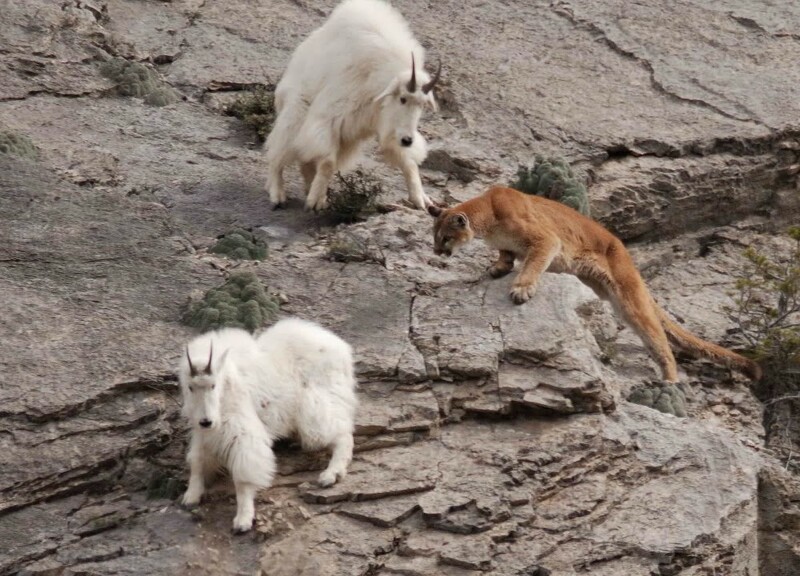 To appreciate this comparison (in this introductory review of the U.S. Constitution’s First Amendment), mountain goats must be matched to their intended natural habitat, just as the U.S. Constitution’s First Amendment must be matched to its intended political context. In a word, the U.S. Constitution’s First Amendment is purposefully designed for BALANCE. To put it mildly, this political balancing act is neither easily obtained nor easily maintained. But this balance was carefully planned for–intended—by America’s founding fathers. Yet now the phrase “separation of church and state” is used to force-fit an off-balanced understanding of the First Amendment. How did that happen? (2) The rope-like “backbone” ridge chain of North America’s West is called the Western Cordillera. 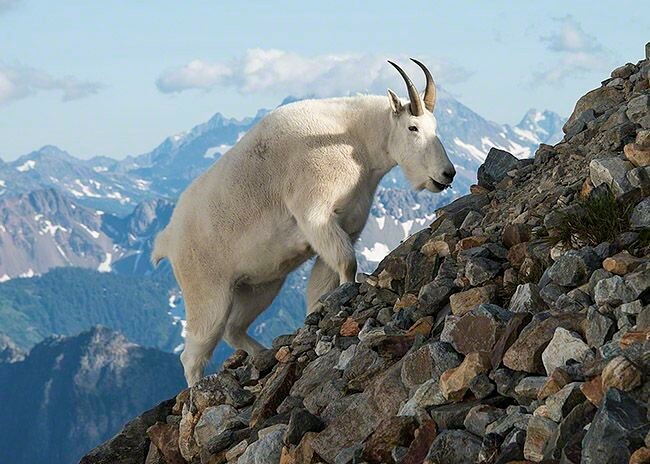 Included in its geographic system are the Rocky Mountains and the Cascade Range, the primary high-elevation range of most North American mountain goats. George Constanz, Ice, Fire, and Nutcrackers: A Rocky Mountain Ecology (Salt Lake City: University of Utah Press, 2014), page 215. (3) John Kricher, A Field Guide to Rocky Mountain and Southwest Forests (Boston: Houghton Mifflin, 1998), pages 235-236. 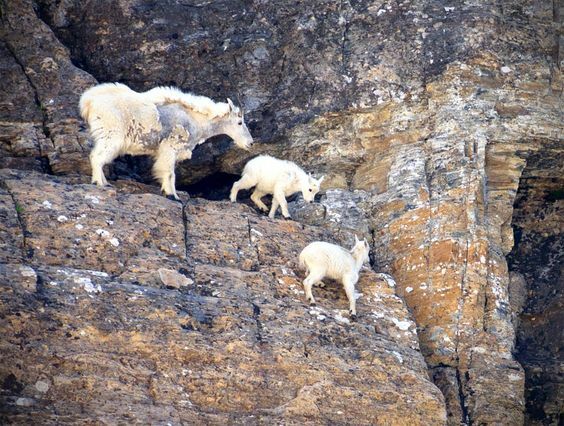 As illustrated in Job 39:1, Israel’s mountain goat is named for how this bearded climber masters its rocky alpine habitat: ya‘alê-sâla‘ literally means “ascenders of cliff-rock”. See also Psalm 104:18a. (4) Constanz, Rocky Mountain Ecology, pages 224-226, with quotes frompages 225-226. (5) U.S. Constitution, First Amendment (Free Exercise and Establishment clauses), ratified 1791. The vast majority of the world’s nations prohibit the “free exercise” for religious liberty, either by establishing a specific religion to the prejudice of others, or by persecuting theistic religions in general. The most thorough historical analysis of the First Amendment is provided in Rector, etc., of Holy Trinity Church v. United States, 143 U.S. 457, 12 S.Ct. 511 (1892), by Justice David Josiah Brewer. To bypass the jurisprudential relevance, of the Holy Trinity Church ruling, is to demonstrate careless misunderstanding of what the First Amendment was originally designed (and originally used) to accomplish. The balancing of civil government powers, ordained by God’s delegation, with jurisdictional limits to facilitate religious freedom, accords with relevant Scriptures, e.g., Matthew 22:21; Romans 13:1-4; Daniel 2:21 & 4:25—and with Israel’s separation of religious offices (tribe of Levi) from the monarchy (tribe of Judah). (6) George Mason’s religious liberty tenet, which he had drafted (12 years earlier) for the Virginia Declaration of Rights, became the precursor for Virginia’s proposal (to Congress) to approve a religious freedom amendment for the “new” Constitution: “That Religion or the Duty which we owe to our Creator, and the manner of discharging it, can be directed only by Reason and Conviction, not by Force or violence, and therefore all men have an equal, natural, and unalienable Right to the free Exercise of Religion according to the Dictates of Conscience, and that no particular religious Sect or Society of Christians ought to be favored or established by Law in preference to others.” Notably, the entire Bill of Rights (i.e., Amendments 1 through 10) limited federal government powers. Ironically, most of the Constitution’s later amendments have expanded those powers. John Eidsmoe, Institute on the Constitution: A Study on Christianity and the Law of the Land (Marlborough, NH: Plymouth Rock Foundation, 1995), pages 71-73. See also John Eidsmoe, Christianity and the Constitution: The Faith of our Founding Fathers (Grand Rapids: Baker Books, 1987), pages 77-178, especially pages 93-112. Ironically, Thomas Jefferson (author of the phrase “separation of church and state”) was undeniably absent—in France!—during the Constitution’s drafting and early ratification (which processes prompted the Bill of Rights amendments), so his opinion of the First Amendment’s “intent” is interpretatively irrelevant. 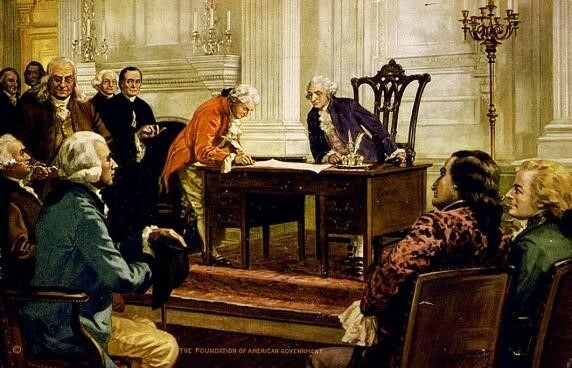 (7) Importantly, the First Amendment’s meaning is contextually blended to the axiological fabric of the Declaration of Independence (referring to our “Creator”, “Nature’s God”, “the Supreme Judge of the world”, and “Divine Providence”), and to the Christian worldview evidenced by the U.S. Constitution’s Article VII (which refers to Jesus Christ as “our Lord”). (8) Eidsmoe, Institute on the Constitution, page 76, quoting Justice Joseph Story, Commentaries on the Constitution of the United States (Boston: Hilliard, Gray & Co., 1833), vol. II, page 593. (9) John Eidsmoe, Christianity and the Constitution: The Faith of our Founding Fathers (Grand Rapids: Baker Books, 1987), pages 391-392, quoting James Madison. (10) The evolutionary mantra-phrase, “natural selection”, promotes animistic powers to inanimate elements of “nature”, not dissimilar from the polytheistic nature-worship of the ancient pagans. See, e.g., James J. S. Johnson, “Norse and Germanic Mythology”, Chapter 14 in World Religions and Cults, Volume 2 (Green Leaf: Master Books, 2016, edited by Bodie Hodge & Roger Patterson), especially at pages 271-272 & 287-288. See also, accord, James J. S. Johnson, “How Can a Mechanical ‘Cardinal’ Make ‘Selections’?”, posted at https://leesbird.com/2015/03/12/how-can-a-mechanical-cardinal-make-selections/ . For a thorough analysis of this “bait-and-switch” tricky-terminology problem (of “science” falsely so-called), see generally Randy J. Guliuzza’s “Darwin’s Sacred Imposter: Natural Selection’s Idolatrous Trap”, Acts & Facts, 40(11):12-15 (November 2011), posted at http://www.icr.org/article/darwins-sacred-imposter-natural-selections/ .